There were 88,637 farms in Iowa in 2012 - roughly 895 per county. In total their land, buildings, and machinery were worth $214 billion, an average of about $2.4 million per farm. In direct payments from Washington - ag subsidies - Iowa farmers received a total of $782 million, roughly. Those subsidies only went to 69,463 farms (78%), so the average farm received $11,257 from the taxpayers of the United States, thank you very much. A simple question - if you are a millionaire, do you need a $11,257 subsidy from the taxpayers to stay in business? Do you really want one? Or would you rather get off the welfare rolls and go on about the business of making real money? OK let's back off from picking on Iowa's corn farmers for a bit. They might get cornery. Let's just think about what happens when a very small group of people gets a benefit from the government, paid for by raising the taxes on everybody else just a teeny tiny bit. In other words, let's think about corn farmers. They do a good job in Washington - congratulations to them. Then they come home and do a good job planting their corn, but the work in Washington doesn't stop during planting season. As soon as they close the door on the corn farmers our politician friends open it up for, let's just say, the widget manufacturers. Lobbyists pass out envelopes, hands are shaken, backs are slapped, and in a matter of minutes the widget manufacturers go back to the great state from whence they came with a smile on their face and a widget subsidy in their pocket. To pay for this taxes go up just a little bit - a couple of dollars per person per year. Remember - that's all it takes. Each American only has to pitch in about $2.44 to pay for that Iowa corn subsidy. Who doesn't have $2.44 to spare for a good cause? But wait a second - Congress's discretionary spending was about $1.2 trillion in 2013, or about $3,871 per person. Corn farmers aren't the only ones with their hands in the cookie jar, there appear to be about 1,499 others! This would cost a family of four $15,484 in taxes and hold the horses! how much was that corn subsidy? Only $11,257, leaving us $4,227 short of breaking even ... darn that hurts. The math fails us here, because there are far too many additional details to try and throw it all together in a short article, but any individual corn farmer may, or may not, come out ahead in the great cookie jar robbery. But remember this - Iowa farmers also pay the taxes that support the other 1,499 midnight robbers. And we are once again back to the basic fact you can't send a dollar to Washington and expect to get $1.10 back. 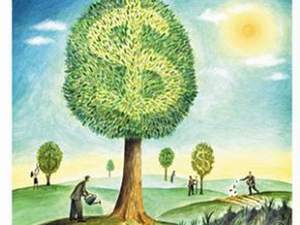 Washington's ag wizards have no magic fertilizer that makes money grow on trees. They only have a certain kind of toro excrement ... that fools no one but the intentionally naive. Rick's conclusion - no ag subsidies. Iowa's corn farmers aren't children, and don't need an allowance from big daddy government. Not mad enough yet? Read this list of Iowa farmers who didn't just put their hand in the cookie jar, they robbed the cookie factory. Let's pick on the Buseman's. That would be Harold, Donna, Jerry, Joel and Jeffrey. USDA records suggest, between all of them, they own 100% of H & J Buseman Farms, in Hancock and Wright counties (think West and Southwest of Mason City), just outside of Belmond. Now don't get me wrong. I've never met them, but I already like the Busemans. All of them. I have no doubt whatsoever they are honest, hard working, smart, charitable, friendly people. Just like all the Iowa farmers I know. And I think they deserve all of the money they earn from farming - every penny of it. I'm not a 'soak the rich' kind of guy (that was FDR, actually). I don't expect the 1%'ers to pick up my tax bill for me. I have absolutely no problem in any way, shape, or form with the Buseman's. I am totally in agreement they should absolutely unquestionably cash the checks Washington sends them. OK, I won't list all the lottery winners. But Dennis Kruger (Dike), Heather Vierkandt (Alden), Gary Hunter (Jefferson), and David Pilling (Carson), those were pretty good years, weren't they? You can watch this video while you combine your corn, but it's safer to do it while you're begging in your congressman's office. What about the farmers who aren't rich? How does this affect them? Roughly speaking, farmers who currently receive subsidies, be they rich or poor, will lose them. This would be good for both sets of farmers, as well as all consumers. If it put a non-rich farmer out of business, as it could, that would be a personal tragedy of sorts (losing your job, or going out of business, is always a hardship - I am reluctant to conclude it is always a tragedy), but it would be a benefit to society at large. 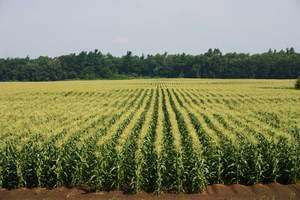 Not only would taxes go down, allowing people to spend the money on more productive uses, but the land would be taken over by a more productive farmer, thus lowering food prices for everyone. Proping up inefficient poor farmers (or inefficient rich ones) with taxpayer money makes no more sense than proping up any other type of business, such as pizza parlors, with taxpayer money.